In school, Rudy Perez was a special education student. The middle child of Guatemalan immigrants living in the projects of Los Angeles, Perez wasn’t reading at grade level and stuttered when he spoke. Surrounded by gangs, drugs, and gunfire in Pacoima, his parents fought to get him into good schools and connected him with a church youth group. “We came here with nothing. Were we very poor? Yes, but we didn’t feel it. I had a caring adult. That’s what makes a difference in all of this,” Perez said. It’s because of his parents’ sacrifice and dedication to their children that Perez says he was able to make the meaningful connections that kept him on the right track. Now 35, he’s the Region 9 director of the National Association of School Resource Officers and a detective with the Los Angeles School Police Department, working directly with children facing similar problems he did. “The odds were always against me. I know what it’s like to be those kids,” he said. 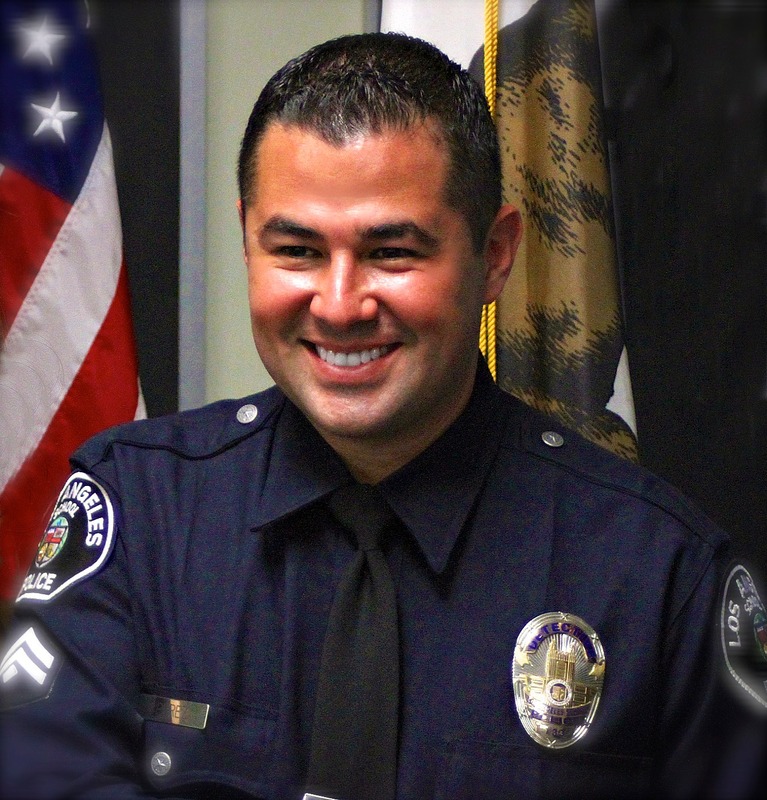 This April, Perez will be celebrating 14 years with the LASPD. It’s his interactions with police while working as a junior lifeguard at 13 that cemented his career path. But the role of police in schools isn’t merely about responding to problems as they arise, but rather intervening early. It’s about changing law enforcement tradition to include a better understanding of the challenges children face today and working with school administrators towards common goals and and visions. Schools need to use a diamond formation—much like the strategy used by tactical teams—that engages police, counselors, and other resources to keep empathy in the process, Perez says. “We forget to be young when dealing with these kinds of things,” he said. Working in schools allows Perez to maintain a young heart, a quality that involves remaining plugged into technology, popular culture, and other important parts of adolescence. It can start with picking up a guitar and playing with kids at a community group or talking about trucks and decks with kids skateboarding in the neighborhood. The ability to listen and a strong focus on empathy is crucial in identifying students facing special problems and getting them the assistance they need. Perez also speaks with community groups across the country to help bridge the gap between police and citizens. When assessing threats at schools—against teachers or students—Perez says mental health plays a large role. With better training and more resources, including on-staff clinicians, troubled students get help, not just jail time. When Perez was teased about his difficulties in school, he turned it into playing the part of the class clown. That, he says, helps him empathize with students who received unwanted attention. In 2008, Perez co-founded Friends of Safe Schools U.S.A., a non-profit dedicated to getting needed resources to schools and under-privileged school-age children. That includes getting more SROs into more schools. For Perez, ending the school-to-prison pipeline isn’t about expecting the government to raise children, but empowering adults to set real rules for kids . And it doesn’t always have to be parents: Perez has taken on a mentoring role for two local middle school kids.